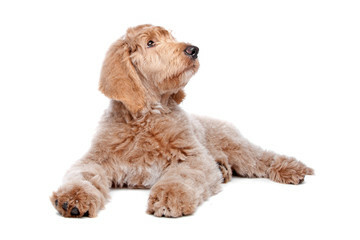 Topdoodles.com is a website dedicated to providing the most relevant and complete information and fun experience for owners of Goldendoodles, Labradoodles, and other poodle mixes, as well as to breeders and those who just love these highly-intelligent, gorgeous, outgoing and overall amazing dogs. We want to provide accurate information and resources to the doodle community and make it fun for people to find the right breeder and services for doodles, interact and communicate with each other, post pictures and videos, and share their doodle stories. This website acts as a resource for doodle owners, enthusiasts, breeders, trainers, animal care professionals, new owners, and potential new owners. You will find lots of information in regards to the doodle standards, temperament, and physical appearance. There is a section for informative articles, information on how to select a reputable breeder, and a breeder directory which contains a list of breeders with proven, respected breeding programs to help new puppy buyers get started on finding the right breeder for their family. Doodle owners like you can review and recommend breeders and services, as well as ask questions and share comments on their doodle time.